Laure Delcour is Scientific Coordinator of EU-FP7 project CASCADE, FMSH (France) and Senior Research Fellow at IRIS. 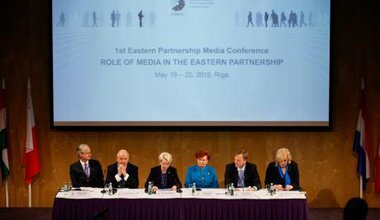 Technical, geopolitical, or transformative: what future for the Eastern Partnership? In most Eastern Partnership countries, elites are prepared to adopt EU templates as long as they do not undermine their interests and affect their survival strategies. The EU needs a change of strategy.